Searching for that perfect RV with the best price? 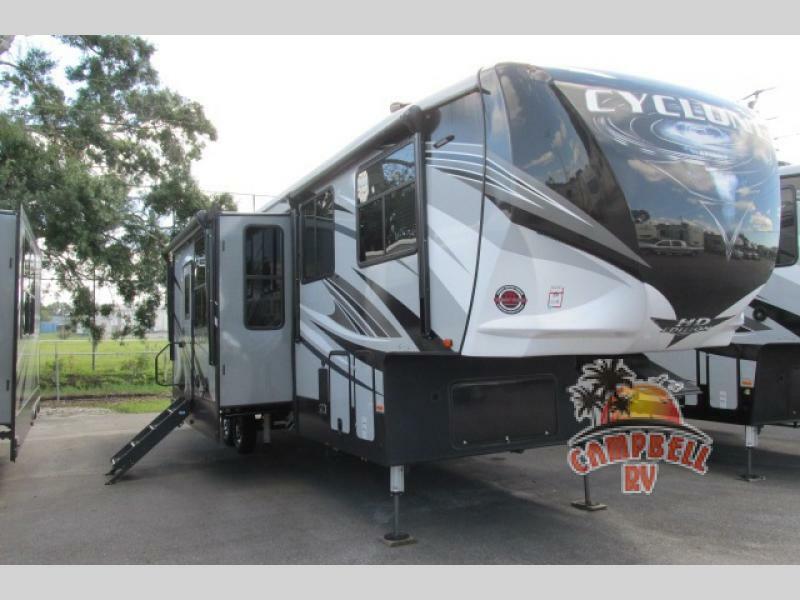 What better way to go then looking through our RV specials to find the dream recreational vehicle you’ve been wanting? 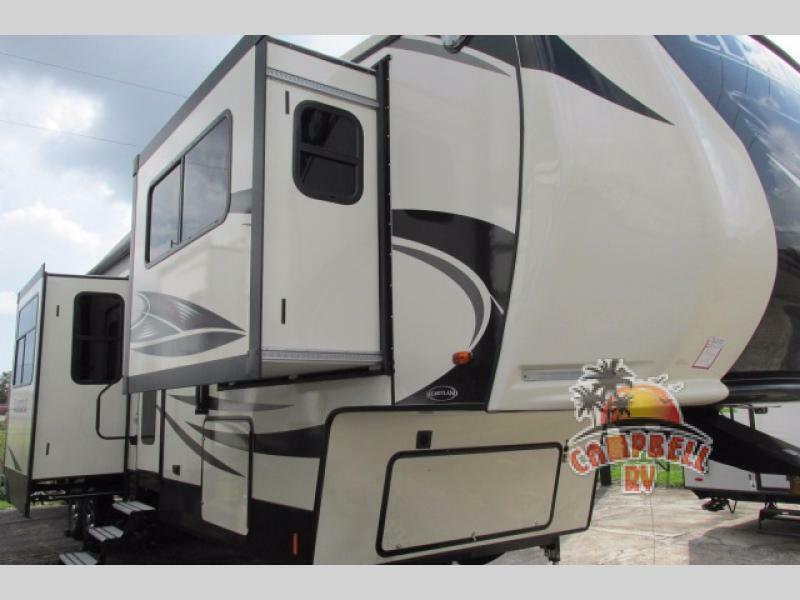 We have great prices (LOWEST prices) on these RVs, so take a look at the details of some of them! We know you’ll find one you’ll love. Expandables are the way to go if you’ve never owned an RV before. 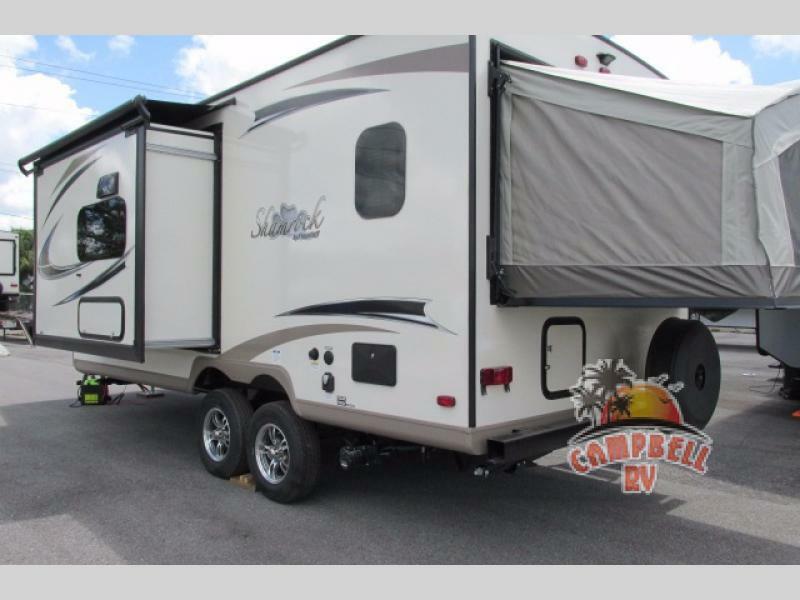 If you’ve been tent camping your whole life and you’re ready for an upgrade, consider this 2018 Forest River RV Flagstaff Shamrock for sale! It comes with a fantastic deal that includes some amazing amenities! It has great storage to keep all of your camping adventure necessities. This includes a shelf above the end beds and overhead cabinets in the kitchen. It provides you with an outdoor refrigerator, as well. The outdoor kitchen is a convenient place to keep all of your icy cold drinks. When you’re out and about around your campsite, you’ll be able to grab yourself a cool refreshment, and quickly. The loft above the garage in the 2018 Heartland Cyclone Toy Hauler Fifth Wheel adds an additional sleeping spot, and the convenient half bathroom allows you to clean up after playing outside. In the combined kitchen and living area there are dual opposing slide outs. You can kick back and relax at the L-shaped sofa or loveseat and watch TV at the 55” LCD HDTV located along the interior wall. You’ll be able to enjoy 12 1/2 garage by bringing in your favorite outdoor toys with you wherever you go. This gives you a great opportunity to hit the dirt trails or to explore the area where you’re staying without having to tow around the large recreational vehicle with you. This all depends on whether you bring your dirt bikes or motorcycles. And then we have the 2018 Heartland Elkridge Fifth Wheel, which for such a great deal as we’re selling it for, is totally worth every penny. This fifth wheel provides you with all the amenities you’ve ever desired when on a camping trip. It comes with front living area that boasts dual opposing slide out sofas, two theatre seats, and of course a large entertainment center that will have you enjoying the slow evenings after the crazy camp adventures of the day. The full bath gives you everything you’ll need, and the rear master bedroom provides you with a comfy king sized bed. If you’re interested in one of these beautiful RVs, don’t hesitate to contact us today. These great RV deals won’t be around forever, and these kinds of great recreation vehicles usually sell pretty quickly. So hurry in!